Congratulations to the Panther coaches and teachers who handed a loss to the KSBY news team Saturday night. In what was an exciting match-up, the Panthers took the win convincingly 63-44. The event was billed as s fundraiser for the boys and girls basketball programs and raised over $800. Highlights of the evening included a half time giveaway of gift cards, booster spirit items, golf packages and Lakers tickets. 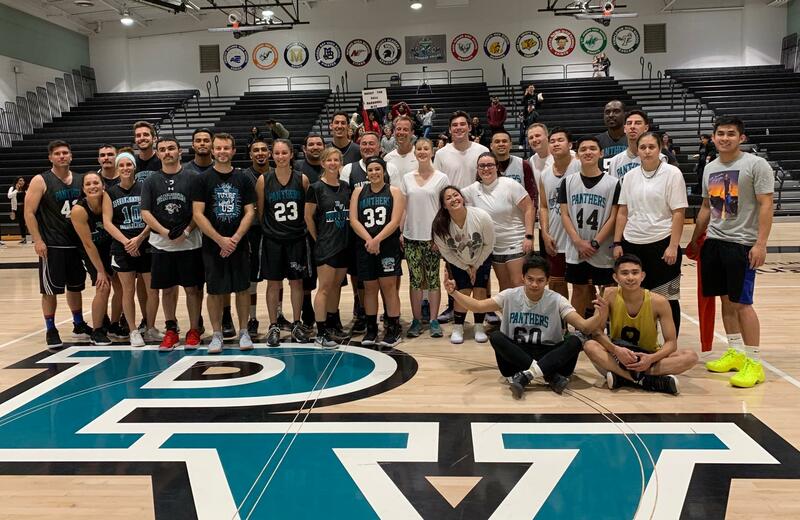 Players for the Panther squad included Neil Eckardt, Ross Rivera, Marcus Guzman, Bilena Brafman, Michael Bloodworth, Ashley Sandoval, Johanna Perez, Tulip Cano, Christian Basulto, Richard Faulk, Victor Quintana, Stevie Martinez, Isaiah Quintana, Chad & Haley Bohi, Katie & Andrew Daly.